The OFFICIAL HANDBOOK OF THE MARVEL UNIVERSE takes a dark turn with this collection of profiles! Featuring the vilest vampires (Dracula himself! Dracula's children: Lilith, Janus and Xarus! Two Baron Bloods! Varnae, the first vampire! ), the heroes that hunt them (Blade/Eric Brooks! Rachel Van Helsing! Hannibal King! Quincy Harker! ), newly converted bloodsuckers (Spitfire/Jacqueline Falsworth! 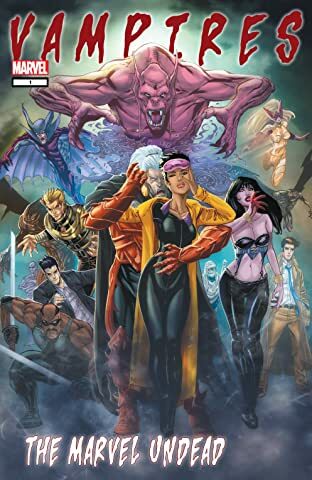 The X-Men's Jubilee!) 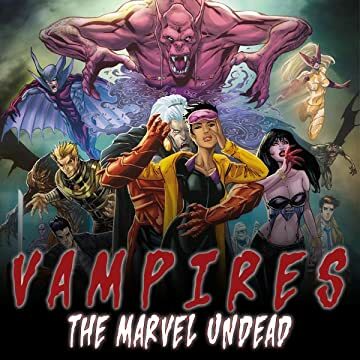 and an expanded profile on all Marvel's vampires! Plus: the terror of the Hellcow! ?